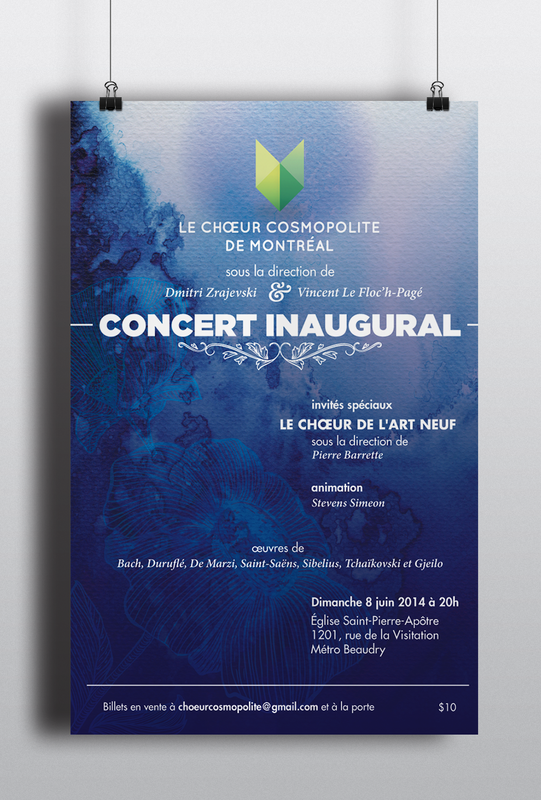 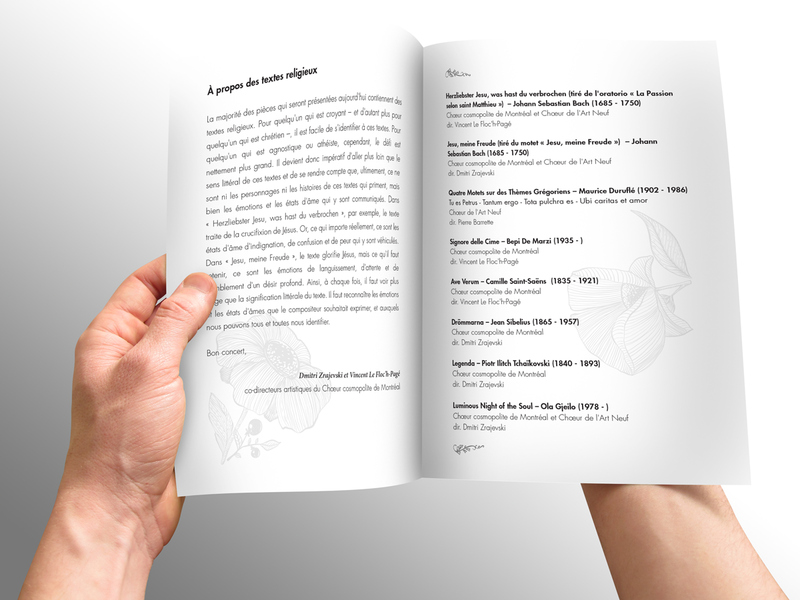 For the inaugural concert of the Chœur Cosmopolite de Montréal I was asked to design the posters, flyers, tickets and programme. 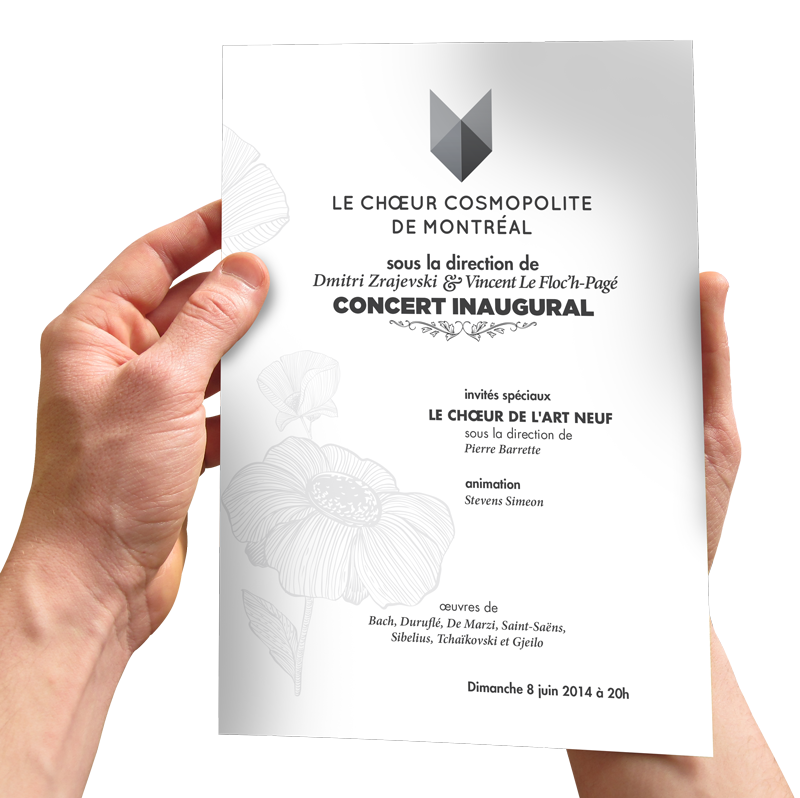 For their inaugural concert, le Chœur Cosmopolite de Montréal wanted to create a look that reflected both their classical repertoire and the youth of their choristers. 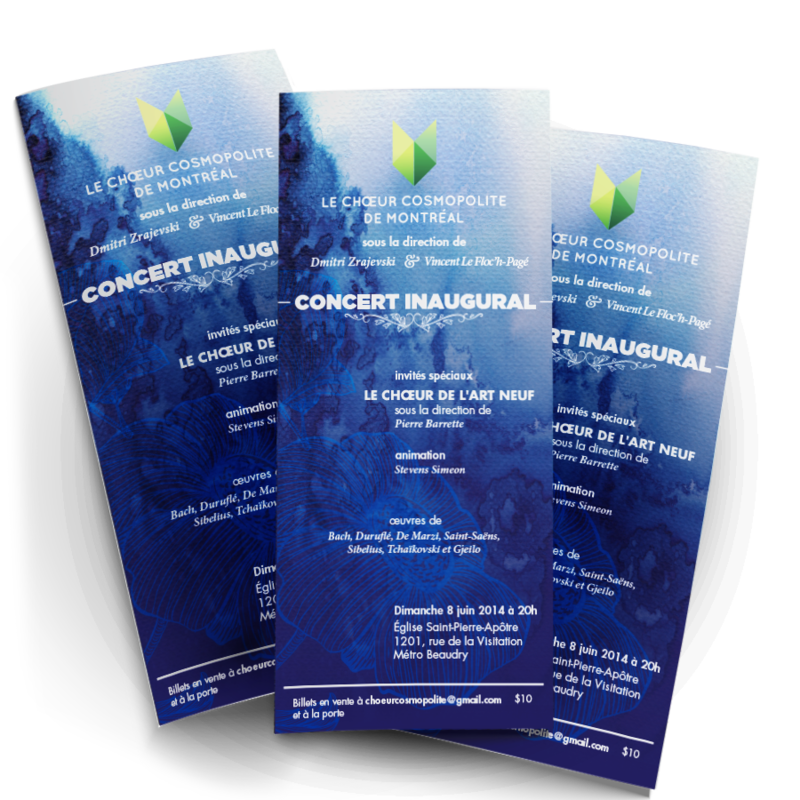 I designed the poster, flyers, tickets and programme with this in mind, using an understated colour palette and watercolour backdrop to evoke a sense of the traditional and bold, modern typography to keep it fresh and energetic.